If you would like more information on child/day/holiday care please ask at the school office or go to https://www.afcinfo.org.uk/pages/community-information/information-and-advice/about-the-fis and look at the Family Information Service pages and details. For information on the admission process for nursery and primary schools - whether community or church schools - in the London Borough of Richmond upon Thames please click here. For more Information and support for parents on how to help with your child's learning, including advice on choosing a school and finding childcare, visit the Government's Education and Learning webpage by clicking here. The links suggested below are for parental information and do not constitute an endorsement or recommendation. We hope you find the links useful. Events, many of them run by young people, are taking place at schools and community venues across London and the UK. Workshops, information packs and even a ringtone will provide advice on how to stop bullying, with the main focus on tackling verbal bullying. Click here and here for further information, or click on the logos above. The UK Safer Internet Centre is where you can find the latest online safety tips, advice and resources to help children and young people stay safe online. London Grid for Learning (LGfL) - This is a government run initiative to connect all schools within the London area using Internet technology. Lowther School is a member of this initiative. Please click here to view the amazing resources available. 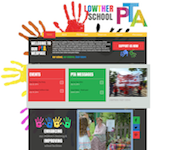 Parents, Guardians and Carers of children at Lowther are automatically part of the PTA. Our purpose is to try and provide the extras our children need to support them in developing and enjoying their full potential and we strive to support the relationships and communication between the school, children, staff, parents and the wider community. We love parents being involved in the life of the school, do pop in any time to see how you could get involved, whether it be sharing your special skills with the children or helping at a special event, like the Summer Fair, we'd love to see you. CCP is a local partner and works very closely with Lowther School, the children and their families. The Castelnau Youth Club is a vibrant local hub for young people aged 11 - 19 and can be found at the Castelnau Community Centre above. They aim to deliver an inclusive and multi project Youth Programme for all young people from the Castelnau Estate and beyond! Activities include sports, games, homework support, art and crafts, leadership skills and personal development through positive peer interaction. CYC has a small but committed youth work staff team that includes a full time professional youth work manager, qualified and motivated support workers and a diverse range of volunteers. Bored, nothing to do, nowhere to go, want to meet new friends, play football, pool, music? Cook, draw, paint, table tennis, get fit? Share experiences, go online, solve problems, get informal advice, have fun? Come along to the PowerStation Youth Project any Monday, Tuesday, Thursday or Friday, it’s free and a great place to just hang out and relax (check here for opening hours). Call 020 8288 0876 or drop in anytime between 11am and 5pm to have a look around. Please visit the PowerStation webpage by clicking here. Lowther School recently arranged with the London Wetland Centre to have free access for all Lowther classes. We know that all the Lowther classes will be planning to tap into this wonderful natural resource, on our doorstep, over the remainder of this school year and beyond. The school nursing service is based on the Healthy Child Programme 5-19 years to improve the health outcomes for the school age population. The school nurse works in partnership with children, young people and families. We also work closely with education, social care and other health professionals. We want to make ourselves more accessible to parents/carers and young people and inform them of our service, of health information, of the NCMP, immunisation programmes etc. Please visit our website by clicking here. The Fit For Sport team at Lowther School offers an exciting programme of activities for your child from 3.15pm - 6.00pm every day during term time (more details here). Fit For Sport holiday camps take place in Barnes Primary School every school inset day, half term and Easter, Summer and Christmas holidays for children 3 - 11yrs. Fit For Sport staff will ensure that After School Clubs are delivered in a style that will engage all children and encourage curiosity in their own learning and Healthy Lifestyles. Our vast databases of session plans for all our After School Clubs have the elements of progression, assessment and evaluation at their core helping your child to develop and improve their individual skills and ability. As a local school serving the local community Richmond Park Academy is committed to developing links and relationships with primary schools in our area. We are delighted with the positive feedback and support we have received from all the local schools since becoming an Academy. For many years St Paul's has been a pioneer in developing links with its local community. We are constantly striving to improve these links and to establish sustainable relationships with both individuals and groups in our surrounding area. The school's policy is to identify those areas that we are acknowledged to do well in and match these up with needs in our local community. 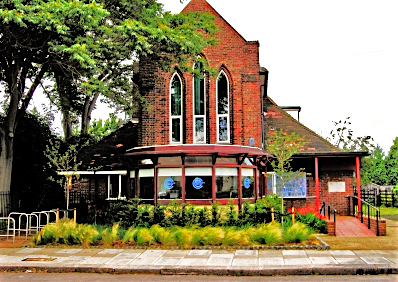 Barnes Swimming Club is a competitive swimming club mostly based at St Paul’s School in Barnes, South West London. We are currently recruiting for new swimmers between 7-10 years old, and competitive swimmers of any age. The club is affiliated to the ASA, and offers its swimmers the chance to compete in County, Regional and National events, as well as swimming leagues and open galas. Netmums is a unique local (Richmond area) network for Mums (or Dads), offering a wealth of information on both a national and local level. Mumsnet was set up with a simple philosophy: To make parents' lives easier by pooling knowledge and experience. The Qualifications and Curriculum Development Agency (QCDA) will be at the heart of England's education system. Our job will be to develop the curriculum, improve and deliver assessments, and review and reform qualifications. Visit our website to find out about what we’re doing, download our publications, sign up for email newsletters and take part in our consultations. To find out more about the Department for Education please click here. Richmond Music Trust deliver a range of high quality musical experiences by providing instrumental tuition to pupils in schools and music centres and run a wide range of ensembles. We also work closely with schools to deliver the Wider Opportunities programme and organise hugely popular events including the Singing Festival, Instrumental Festival and The Big Racket. Our Hands On events give children the chance to discover which instrument is right for them, and the department offers a range of services both in-house and on an outreach basis.